We are still celebrating our one year Anniversary/Birthday at The Perfect Sentiment with daily challenges, prizes, blog hops with hidden prizes, and a chance at a fabulous grand prize which you can see here. I sure hope you plan on stopping by to play in a challenge or two or even better play them all as you have until October 30th to complete all four and have a chance at that fabulous grand prize! 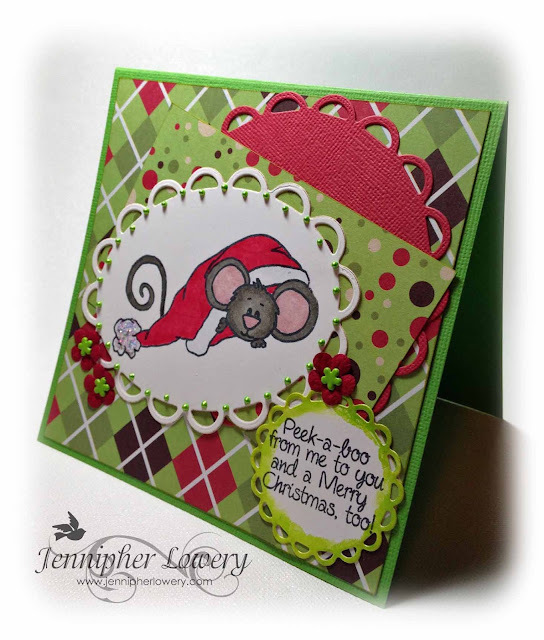 PSC53C: The Challenge/Twist: create a card with a sentiment for Christmas; include a critter somewhere on your card. We are looking for animals, bugs, mice, etc. Not humans. You can have a human on your card but, there must be evidence of a critter somewhere. For example: A little girl holding a puppy would work fine. Don't forget to include your sentiment on the front! I chose to use Cocoa the Mouse as my critter. My inspiration for the design of this card came from this week's sketch at The Sweet Stop. I haven't played along with one of their sketches since my Design Term ended with them last year. That's a long time. 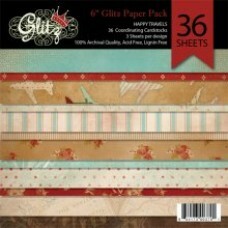 Supplies: American Crafts CS and Designer Paper; Gina K Designs Pure Luxury CS; Liquid Pearls; Stickles; Tiny flowers from Prima; flower brads from stash; Santa's Helper Stamp Set from Sweet N Sassy Stamps. Hop along to the following blogs to see what our Perfect Sentiments Team has created to inspire you! Be sure to leave a comment at each blog as there are hidden prizes along the way. Regretfully, if you are a prize winner who lives outside of the United States, we will have to substitute your prize with a digital prize that can be sent via electronic mail. By the time we have to do the customs paperwork and everything associated with sending parcels out of the United States, it always costs more than what the prize is worth in most cases, and this includes Canada, unless you have a Post Office Box in the United States. APO and PPO box addresses are considered US. Thanks for your understanding. EEK! A mouse! 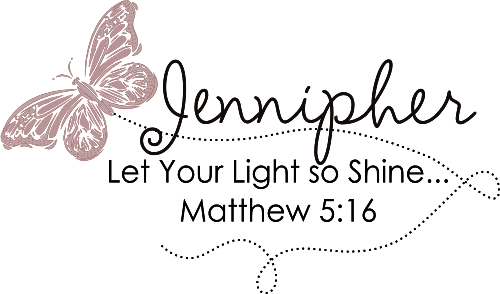 SO so CUTE, Jennipher! love the layers of paper and the use of the 3 lacey circle dies! Like the whimsy Mouse peeking out from under the Santa hat. Especially like the Liquid Pearls. Hopping along enjoying the Perfect Sentiments blog hop. I love your card what a great idea for a challenge. thanks for the inspiration. Love the sentiment as well. Adorable, Jenn! Cute image and bright DP's...love the argyle and dots!! Isn't he the cutest! Great sketch, I think I need those oval nestabilities! I love how you adjusted the sketch for your adorable image! The little flowers are wonderful! Cute, cute, cute! The design and the papers are perfect with this sweet little image. What a great layout! I love that image. Really adorable! Love that little mouse! So stinking cute! The card is gorgous. Love the cheery paper, sketch and the sweet cute mouse. I think the harlequin patterned paper looks great as a background. A really sweet image and a fun sentiment too! really cute!! love that image! !